Published by Puget Music Publications, Inc. If you can find a copy of this book, buy it. Simple as that. Jerome Gray is unknown to many, but was one of the greatest jazz pianists of his time. There are stories of what might have happened to him at a young age when he suddenly quit playing jazz piano and focused on teaching, arranging, and composing. 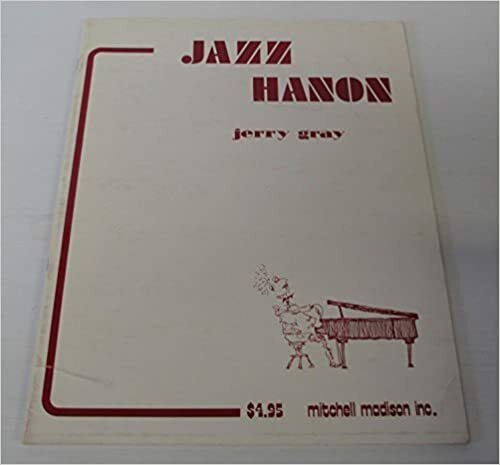 His series of books, "Jazz Hanon" and others, are simply amazing. I found copies of most of them when I was in school. They are out of print and hard to come by, but if you are looking for some jazz technical exercises, you will not find any better than these. Classical pianists with an interest in jazz will especially find these exercises fun.